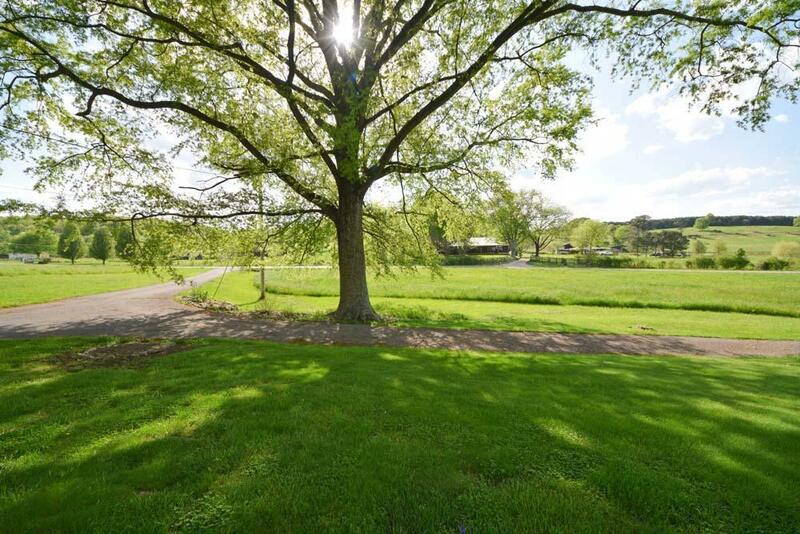 PEACEFUL COUNTRY SETTING ON 26 ACRES! 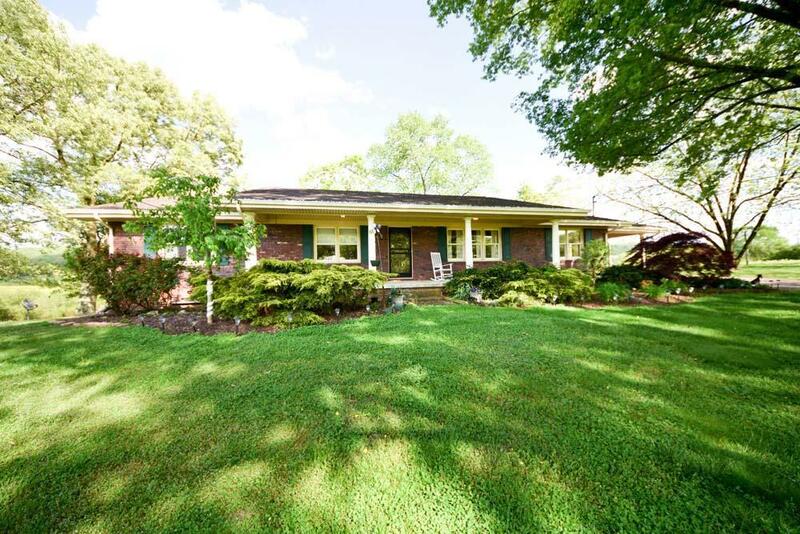 3 bd/3 ba Full brick ranch style home with 3,522 SqFt., lots of hardwood flooring, and a full basement. Open kitchen features Kraftmaid Cabinets, granite counter tops, under mount cabinet lighting, and a kitchen bar/island. Large open living area offers a wood-burning fireplace and hardwood flooring. Formal dining room with built in bookshelves. Bedrooms feature walk-in closets. Oversized laundry room with utility sink. 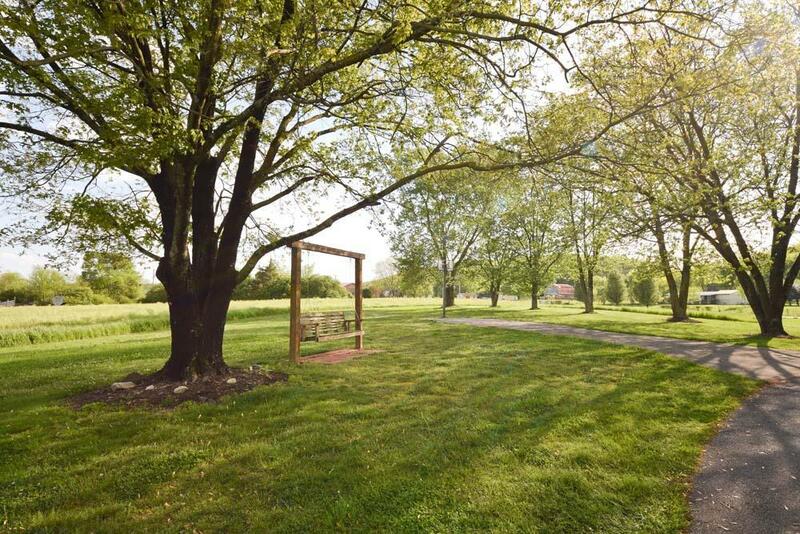 Full partially finished basement offers a separate living quarters with wood burning fireplace, large den, recreation room, kitchenette, and a full bath. Single garage and workshop with work benches also in basement. Home features newer siding, HVAC, windows, and roof. Property features a creek, pond, workshop with concrete floor,metal storage shed, a non working chicken house, automatic generator, and two propane tanks that stay with the property. Two barns, one with concrete floors, the other offers 3 stalls. There is no current contract for chickens. Nice circle driveway for plenty of parking. 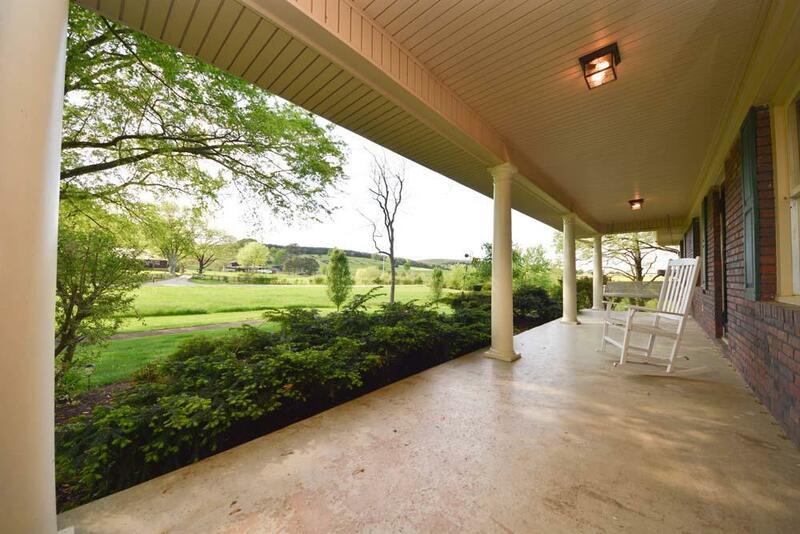 Enjoy peaceful evenings sitting on your front porch swing. Call to schedule your private tour today!